Ancient boiler replaced and moved. 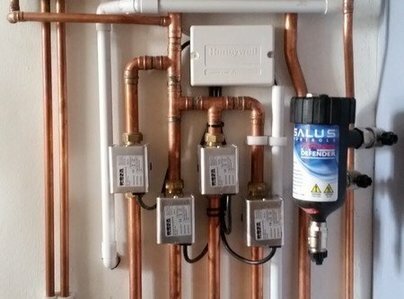 The new boiler system was carefully and thoroughly researched by Iain before deciding upon the best solution. He took time to explain his decision which left me confident that we were going to be left with a robust system. The new boiler, thermostat and 2 new radiators were installed with the minimum of fuss. They took time to completely flush the system and came back to finish the job when they said they would. They also came out again to sort out a minor glitch. Although the work took a little longer than they anticipated, they stuck to the original quote. Friendly throughout and a pleasure to have around. 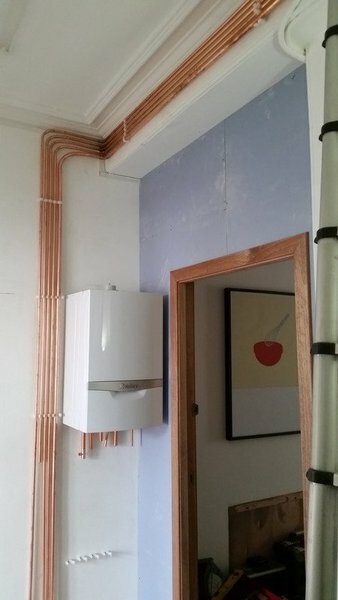 Edinburgh Heating removed our 1980s boiler, radiators and controls and replaced with a brand new two zone system with WiFi enabled thermostats. Throughout the job and afterwards we haven't been able to fault Edinburgh Heating's work, their service or their aftercare. The system they have installed works perfectly and we are very pleased with our remotely controllable high efficiency system. I have no hesitation in recommending Iain Clarke and Edinburgh Heating. The 5 Star Reviews are real (and justified)! We received some distressing news after moving to a new property - our boiler was condemned and considerable work would be required (including moving pipes, removing asbestos etc.) to rectify the situation. 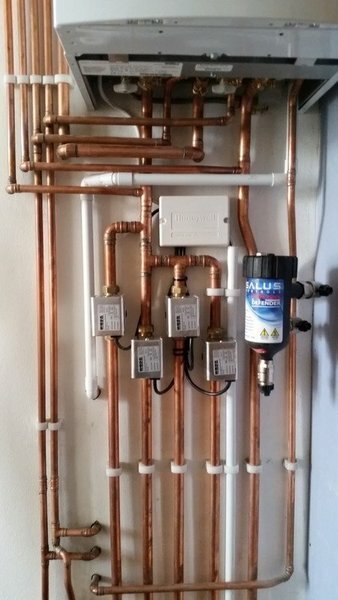 Following a pressured sales pitch from a National Energy firm, I contacted Iain at Edinburgh Heating who managed to match the quote, save me more than £1,000 and install a higher quality boiler with a 10 year warranty. Even with staff shortages at the time, due to illness, all the work was carried out quickly, efficiently and as agreed with no unexpected surprises. A fantastic local firm that you can rely on. I called Iain at Edinburgh Heating to quote on a new boiler after our old boiler was broken following a repair by another heating company (also recommended by Which?!). Iain really knows his stuff and is thorough, friendly and reliable. He kept us informed and pulled out all the stops to install our new boiler quickly as we had no heating. 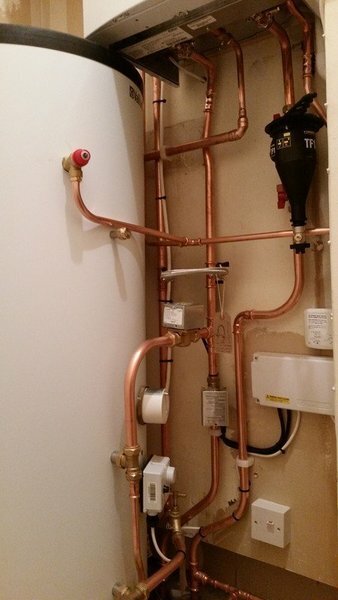 In one day Iain and Raymond upgraded our gas pipe and installed our new Vaillant ecoTEC exclusive Green iQ 835 boiler. As he is an Advanced Vaillant installer we get an extended guarantee of 7 years at no extra cost which we're delighted with. There was a problem with the signal on the wireless thermostat programmer (which was not Iain's fault) but he happily returned and wired the receiver externally to the boiler to remedy the problem and we are delighted with the result. Our thanks go to Iain and Raymond as you've restored our faith in reliable trustworthy tradesmen. We would have no hesitation in recommending Edinburgh Heating. Iain takes great pride in achieving the best outcome for his customers. Having read reviews of Edinburgh Heating on Which Local I approached Iain for a quotation for replacing my central heating boiler with a combi boiler. He gave me very informative advice and I decided to accept his quotation. We agreed a date for commencement of the job and Iain turned up on the agreed date complete with boiler and accessories. Due to an unfortunate error by another company which had been scheduled to complete some alterations to my gas supply that day, Iain was unable to start his work. Despite this frustration he remained helpful and good-natured and he very generously agreed to postpone the installation till a later date. 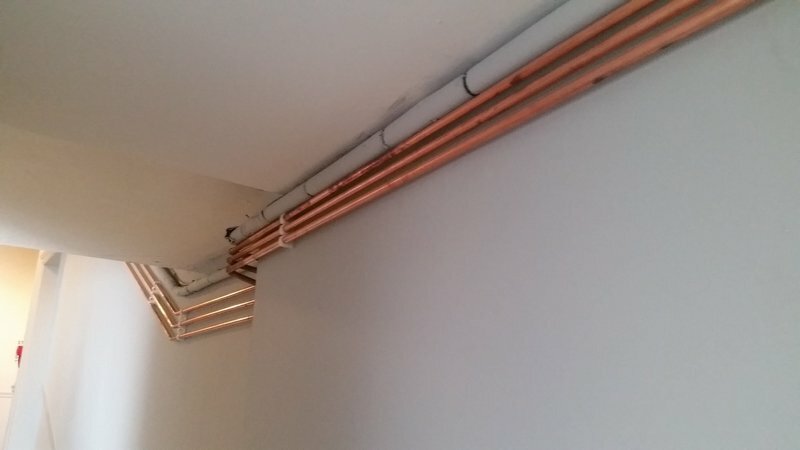 He also agreed to try to coordinate his work with the company which was going to install a new kitchen for me.This he did and things went very well. I am now enjoying the comfort provided by the new boiler. I found Iain very courteous, friendly and obliging. May I also add that he even took time when here to help out one of my neighbours who had a small problem with her central heating. I would have no hesitation in recommending Edinburgh Heating. Our 21 year old Vokera boiler was on its last legs so we looked around for a replacement. All the people we asked for a quote had funny shoes with jangling spurs!! After discussing out findings with WHICH I followed their recommendation to find a honest trader. We approached two and were amazed at the difference in approach. They both were night and day ahead of the other five clowns we had been speaking to! We finally decided to use Iain for our new boiler and from the very beginning of the process we were very impressed by his professional approach. His team arrived on time and the work was carried out perfectly. Iain, Raymond and their new apprentice Michael just could not have been better. I would certainly recommend Edinburgh Heating, I cannot praise them highly enough. Job done exactly as planned without fuss or bother. I would certainly use this firm again. I had a new fitted new boiler in my house, everything went absolutely fine, on time and with fair pricing. Iain is really friendly, punctul, reliable, and a smart young man! I would absolutely use him again, he was very helpful with his suggestions and advice.